the history & chronology of these works is complicated and, as ever, dates are approximate. 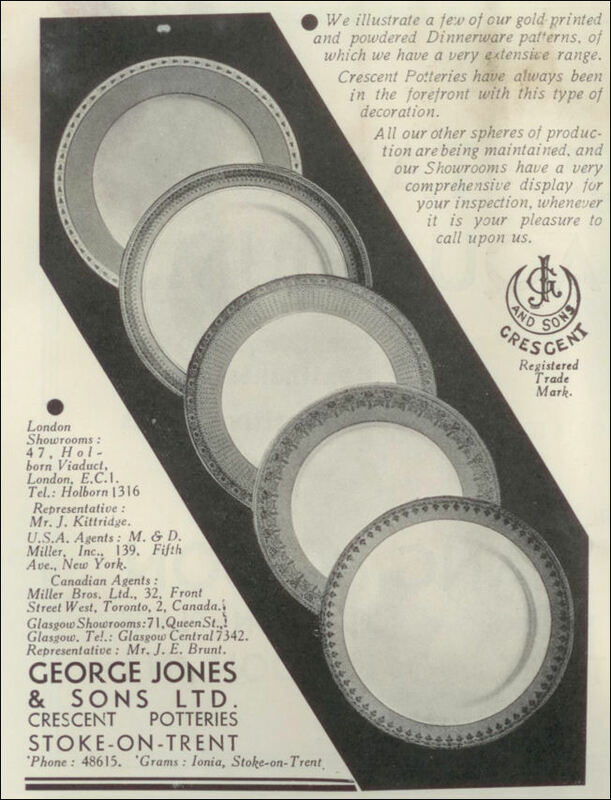 In 1856 George Jones opened a pottery showroom in Glebe Street. 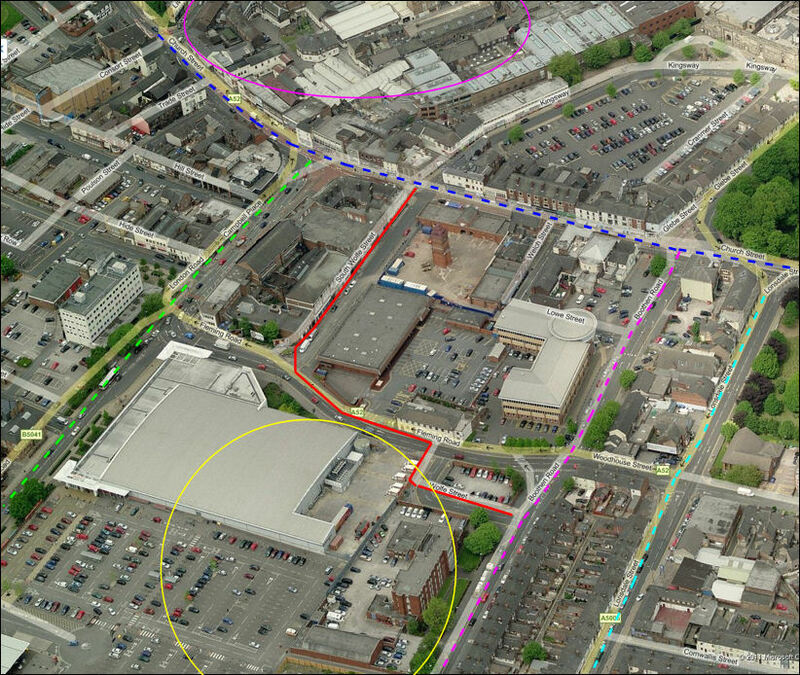 c.1865 George Jones built the Trent Potteries 'adjoining the Newcastle-under-Lyme Canal and the Newcastle-Uttoxeter Road'. From 1872 China ware was also made. 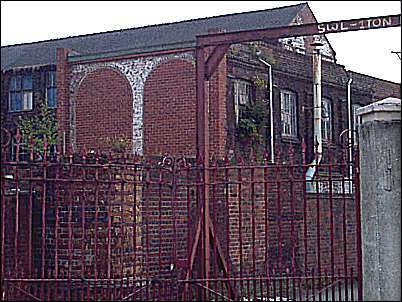 1873 the company was renamed as George Jones & Sons. George Jones died in 1893 - the business continued with the original name 'George Jones & Sons'. 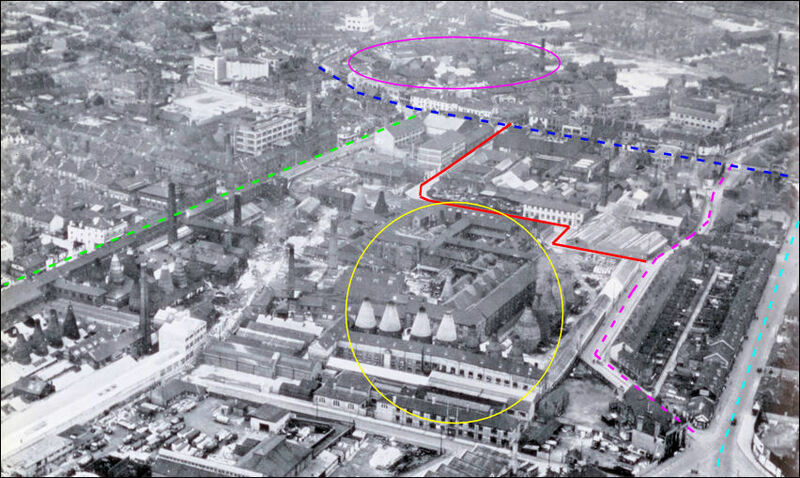 In 1907 the works was renamed to the Crescent Potteries. 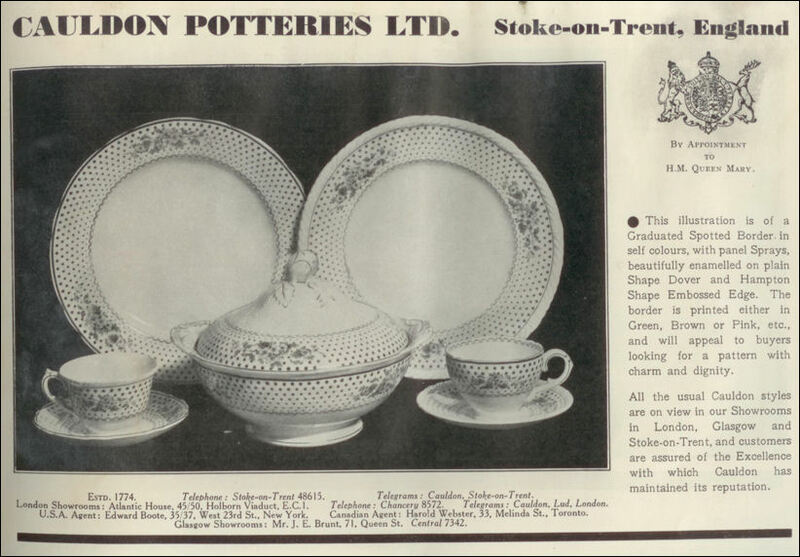 1920 Cauldon Potteries moved from their factory in Cauldon Place, Shelton to share the Crescent Pottery. 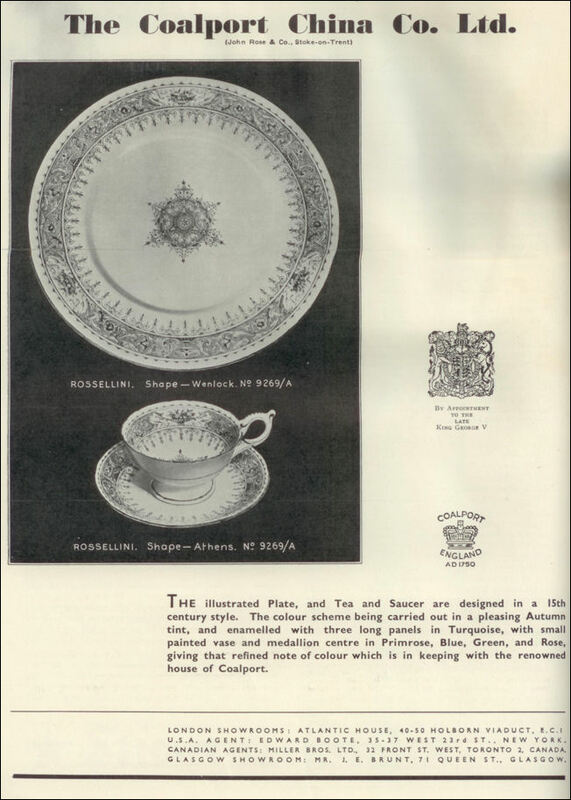 In 1924 Coalport China was sold to Cauldon Potteries Ltd. who in turn moved to operate from the Crescent Pottery. 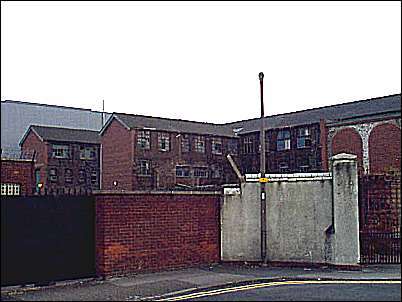 George Jones & Sons Ltd., Cauldon Potteries Ltd. and Coalport China Co. Ltd. were all operating from the Crescent Pottery. 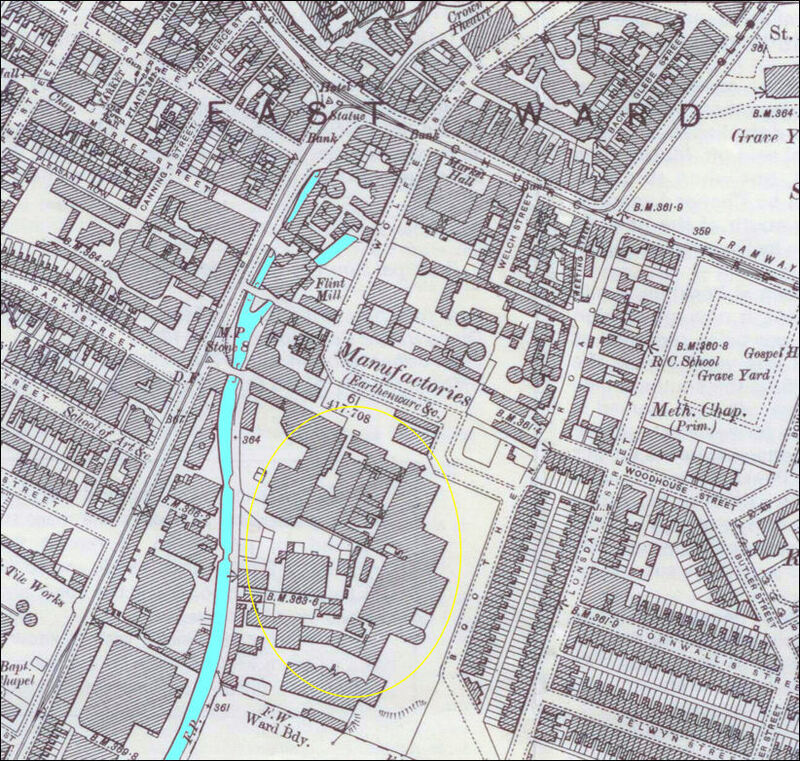 1955 Coalport China moved from the Crescent Works to the factory of Samuel Redford, High Street, Fenton. 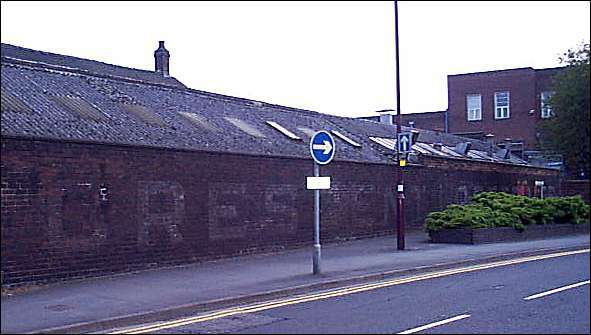 1957 George Jones & Sons Ltd. ceased trading. 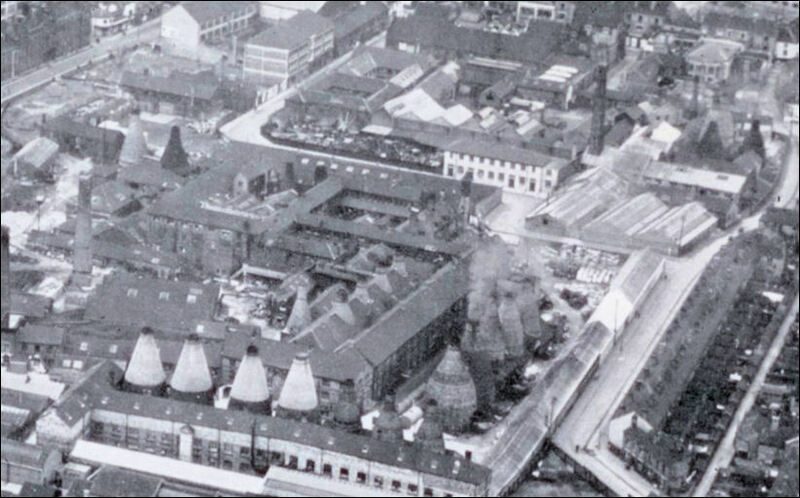 1962 the name and goodwill of Cauldon Potteries was aquired by Pountney & Co. Ltd. of Bristol and manufacture of pottery at the Crescent Potteries ceased.